Wine barrels have so much charm and add ambiance to any setting. You’ve likely seen them used as tables or large flower pots but this unique idea transform them into an outdoor sink. 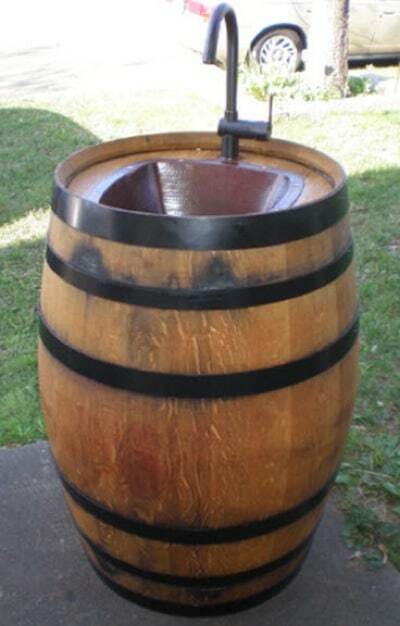 Combine the beautiful form of a wine barrel with the practical function of a sink and add a creative touch to your backyard.